This week's HotTopic is 'Women's Day' in China, and more specifically the battle that takes place between 'Women's day' and 'Girls Day'. 'Women's Day' is on March 8th, and celebrates equality between the men and women. 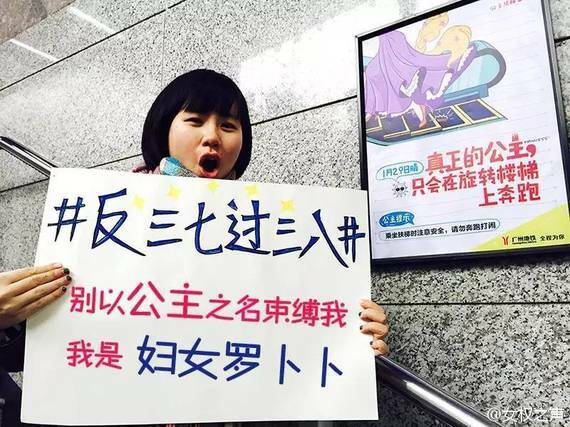 This is a very serious day in China, where every Chinese woman expects to be treated extremely well on this day by her entourage, family, company and her husband. It's as serious as birthdays and Valentine's Day. This day is called 'Fu Nv Jie' - Fu Nv which means women, and Jie means day. 'Fu Nu' however is an old Communist expression that talks about 'old' women. Taking this to heart, some netizens decided to fight back and launched 'Girls Day', one day before 'Women's Day' on March 7th. 'Girls Day' is supposed to be much cooler, younger, and about love and romance. You see a lot of university students sticking posters on university walls with sentences like "I dedicated my life to philosophy except for today, which is for you my dear". So there was a huge debate with the people who support 'Women's day' who are really angry against 'Girls Day' because they believe it is too commercial and gimmicky, making a mockery out of a big subject which is fighting for equality between men and women. 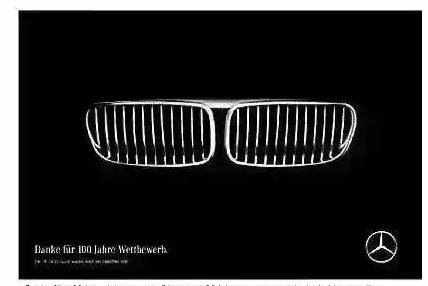 This week's HotBrand is Mercedes, the car brand, who made a really elegant hijack of BMW's 100 year anniversary. BMW just released a nice print ad all around the world (including China), celebrating 100 years of BMW. In turn, Mercedes launched a print celebrating their own 130-year anniversary, by saying how great BMW are and also wishing them a happy anniversary. However, at the same time they told BMW how boring it was for them, as they had to wait 30 years to have a strong competitor. It was totally ironic and very well written. This was a huge disappointment on the Internet, especially from BMW fans, as they were expecting an immediate answer, but BMW, for no apparent reason decided not to answer. So the BMW fans launched what we call 'consumer generated content', imagining what they believe would have been the best answer to Mercedes. The best was a sentence taken from an old Chinese poem saying, "When you were born, I was not born, and when I was born, you were already very old so we did not meet". This is the type of answer that BMW fans would have wanted and expected the brand to make. It's interesting as it shows that there is a bit more sophistication in advertising in China today, and that the people expect more sophistication elegance and spirit. Once again, this week's HotPost is about 'Little fresh meat celebrities'. 'Little fresh meat celebrities' refer to this mega trend in China about these young actors and singers with beautiful androgynous faces. Chinese women are just crazy about these guys who come from China, Taiwan and Korea. This time the post is about an imaginary classroom, with 36 boxes that represent the seating arrangement in a 6 by 6 grid. Inside each of these boxes are the names of these 'Little fresh meat celebrities'. So for instance you have a young Chinese actor called 'Li Feng', and a young Korean actor called 'Song Gong Ji' sitting in this imaginary classroom, with numbered empty places in between these celebrities. 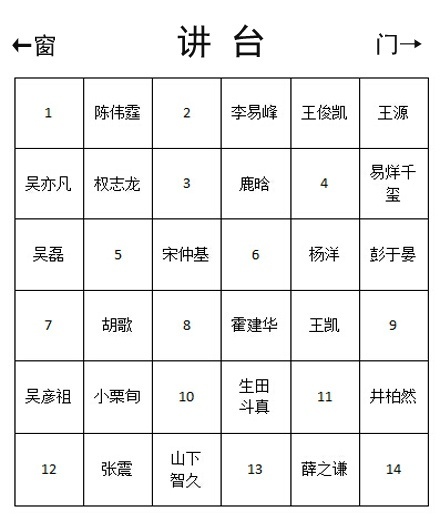 This invited every Chinese woman to pick and decide where she would ideally want to sit. You have no idea how many comments and debates were generated on social media! For example, "If I sit here I am close to him, but if I sit next to this one I am far away from him", etc. Every girl tried to find the best place to sit, and according to some, the best place would actually be the teacher's of this classroom.